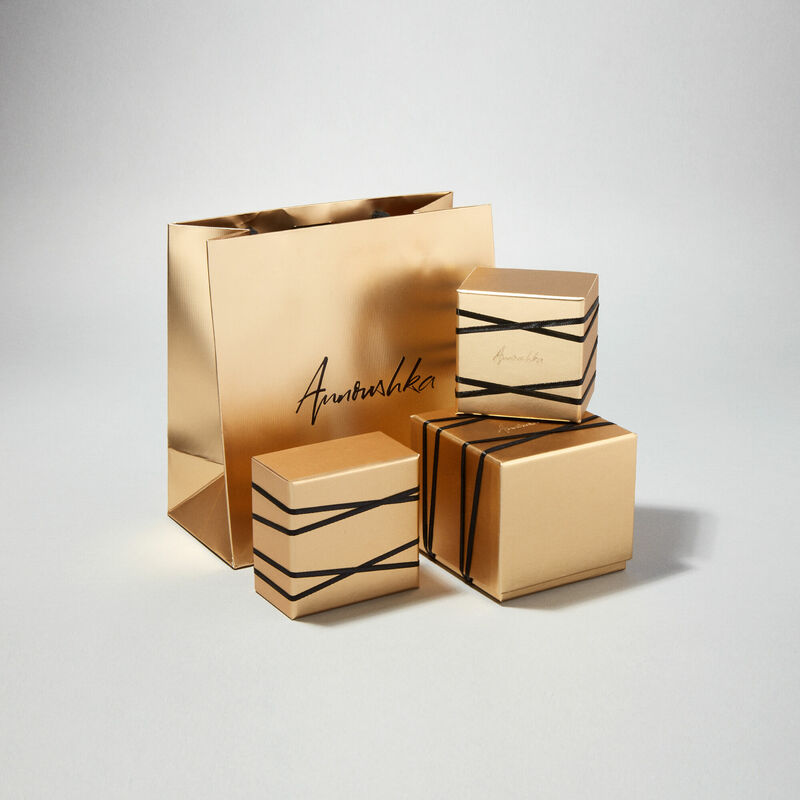 Suspended from delicate 18ct yellow gold hooks, these creamy white baroque pearls are an Annoushka icon. Each pearl is approximately 15 mm and has been hand selected for its soft, even shape and silky lustre, complimenting all skin tones. 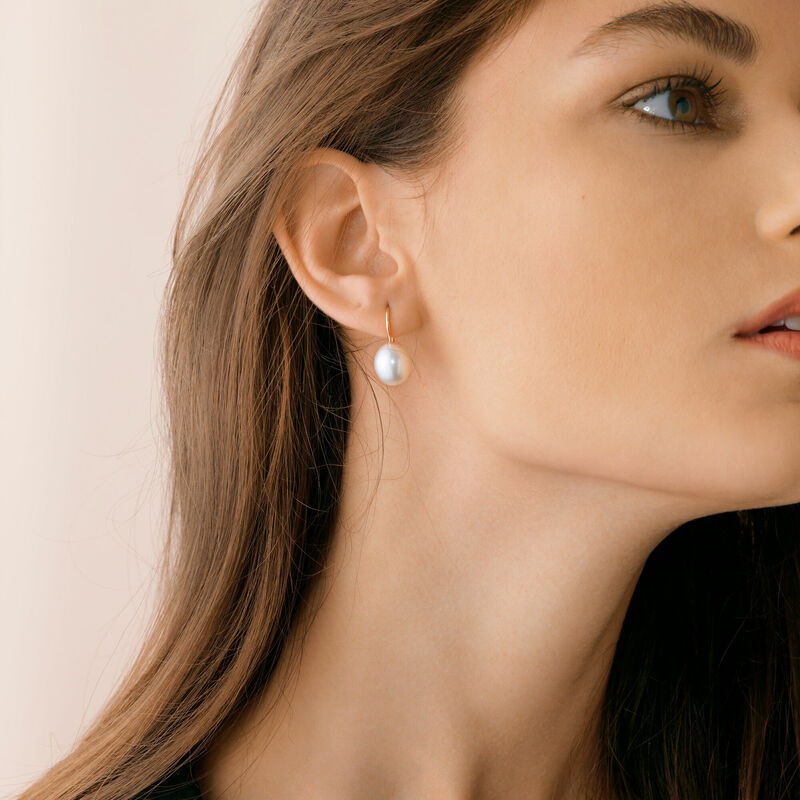 Beautifully reflecting the light, these delicate pearl earrings promise an easy day-to-night elegance. 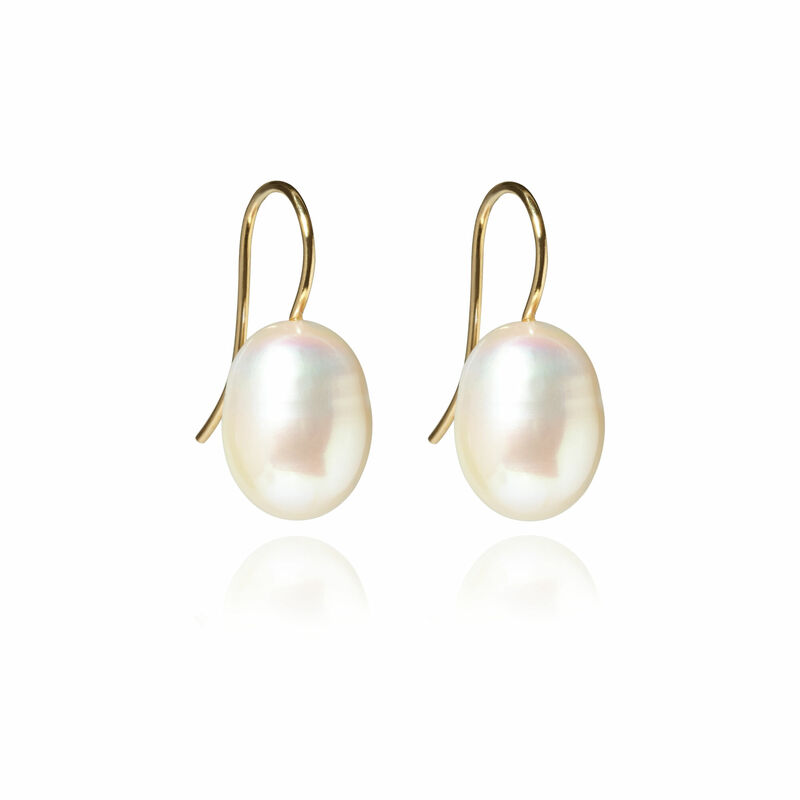 Classic Baroque Pearl Hook Drop Earrings are also available in 18ct yellow gold and grey pearl. *Please note all pearls vary in size and colour so each pair is unique. If you would like a particular shape, size or colour please contact us and we will do our best to match your desired preference.